Barnt Green boutique Savoir Faire, whose new owner Donna Harris took charge in January, showed off some of its latest collections in a charity fashion show at Nuthurst Grange, Warwickshire. The event was held in aid of the ATAC (Action Taken Against Cancer) charity, and raised £1,800 towards a digital mammogram machine for Warwick Hospital. The guests, including ATAC’s founder and chairman Virginia Haynes (pictured bottom left, in purple), enjoyed lunch before being treated to a selection of spring and summer outfits available at Savoir Faire. Outfits from top labels such as Taifun, Aldo Martins, Oui, Libra, Michel Ambers, Verse and Apanage were all displayed to their best advantage by professional models. 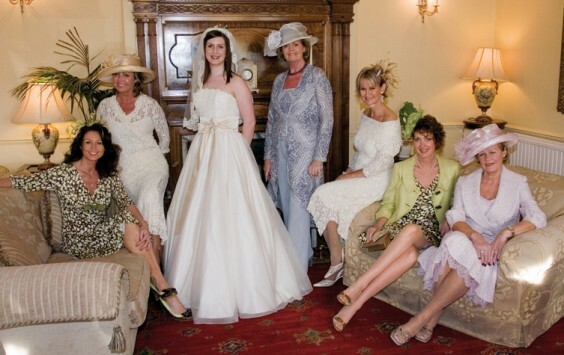 Bridal wear from Keira Benjamin Brides of Earlswood was also shown, while lingerie from Barnt Green’s very own Temptations was available to browse and buy.